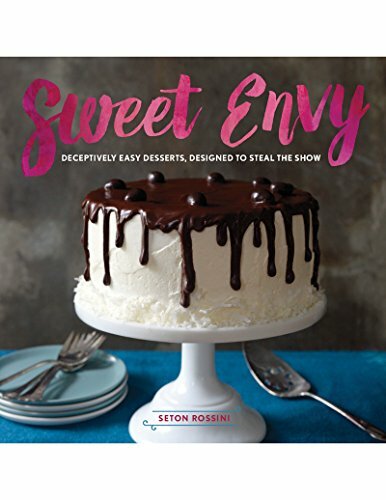 Seton Rossini is a blogger, award-winning designer and author of the cookbook Sweet Envy: Deceptively Easy Desserts, Designed to Steal the Show. Her whimsical pastry creations have been featured in the windows of Macy’s, she’s appeared on Food Network, and demonstrated her desserts on NBC's TODAY Show and ABC's The Chew. Her work has appeared on Foodandwine.com, Glamour.com, MarthaStewartWeddings.com, Foodnetwork.com, PopSugar and Yahoo, among others. Seton’s blog Pixel Whisk was inspired by a love of all things sweet. Equal Parts Design & Sugar, Pixel Whisk is dedicated to a creative food community with a knack for D.I.Y. A graduate from Parsons School of Design in New York City, and former Design Director at FOOD & WINE Magazine, Seton continues to art direct and design on a daily basis. When she's not designing, she surrounds herself with the best things the culinary world has to offer. Seton resides in the Old Bay loving city of Annapolis, Maryland with her (s'mores fanatic) husband Tom, their sons Nolan and August, and black lab Bean. My book Sweet Envy is available at local bookstores and online. Trust me, there's always room for dessert!